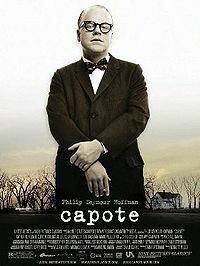 Last year I watched both of the Truman Capote Films: Capote (2005), staring Philip Seymour Hoffman who won an Oscar for his performance and Infamous (2006). Both films covered the period of Truman Capote’s life when he was researching the book “In Cold Blood”. What struck me most about these films is how Capote would use social gatherings, parties, or dinner parties to refine his stories through orally telling his friends about the subjects of his current book. Each time he told the story he noted the reaction of the audience and this influenced his sentence construction and phrasing to enable maximum impact to the reader. I recalled this fine art of story-telling as I prepared this week for a workshop for staff who are currently undergoing an organisation restructure. All the staff are having to apply for new posts in their department and my workshop is to support them through this process so that they are able to effectively demonstrate their skills, experience and abilities. One of the key elements whilst preparing for an interview or any type of selection process is to practice “out-loud” the responses to key questions. We often find that we’ve constructed an excellent reponse in our minds, but frequently this response does not sound as good when we hear it out loud for the first time. I encourage participants to find some private space – either in the car, or in the shower for example, and to use this space to recite their stories out loud. The key is to repeat the stories over and over – ensuring that the story reaches a conclusive end. Refine the story as you practice it, and the more you do, the more embedded the story will become. When faced with a couple interviewers, candidates often feel nervous and their minds “go-blank”. With well rehearsed stories, answers spring to mind easily and the delivery is well prepared: it demonstrates the point, highlights the learning that occured and shows the interviews both the level of skills / experience as well as the ability to reflect and learn. So, I think that Truman Capote sets us a good example. We may not be as literary competent as he is, but we can learn from his methodology about how to make the most of our own stories.